10. 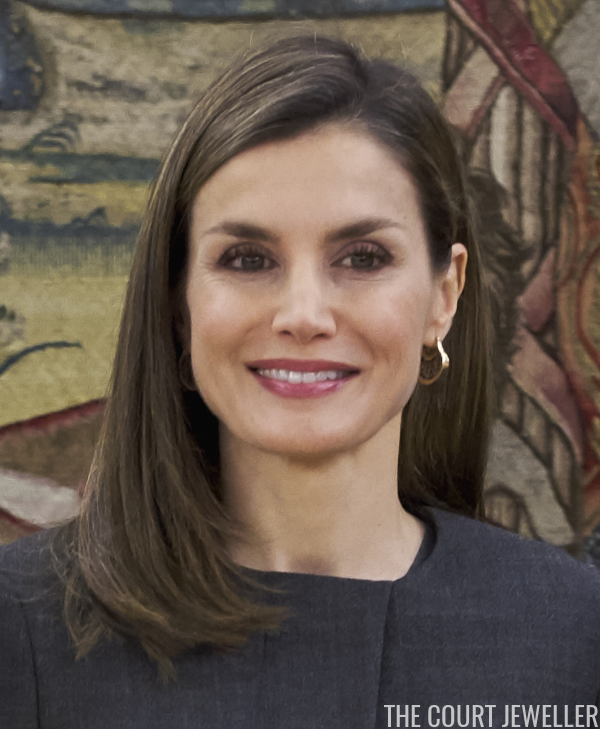 Queen Letizia of Spain wore her gold hoop earrings, which feature interior embellishments, to receive the Board of Directors of the Islamic Comission of Spain at Zarzuela Palace in Madrid on Thursday. 9. In Monaco, Princess Charlene chose classic diamond stud earrings for Friday's balcony appearance at the Palais Princier during the Sainte-Devote festivities. 8. Elegant diamond and pearl earrings were the accessory of choice for Queen Mathilde of the Belgians at the ATD Fourth World-Belgium Association in Brussels on Thursday. 7. 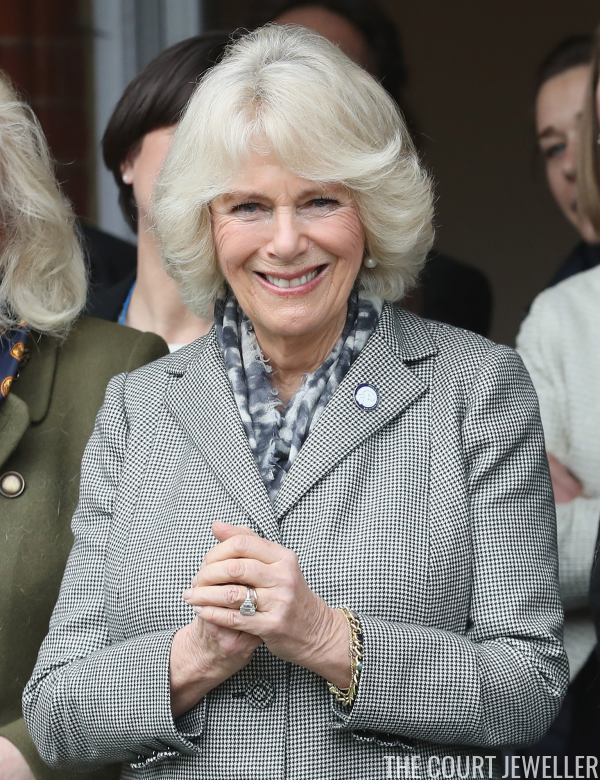 The Battersea Dogs and Cats Home welcomed their new patron, the Duchess of Cornwall, for a visit on Wednesday. 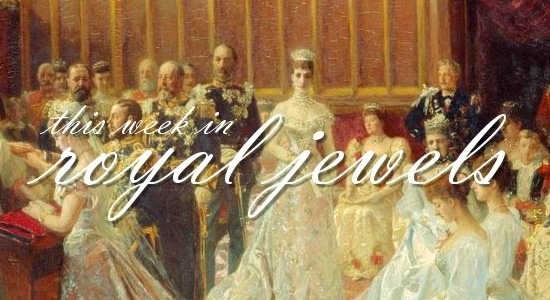 Camilla wore some of her favorite pieces of jewelry, including diamond and pearl earrings and her engagement and wedding rings, plus a pin featuring the organization's logo. 6. 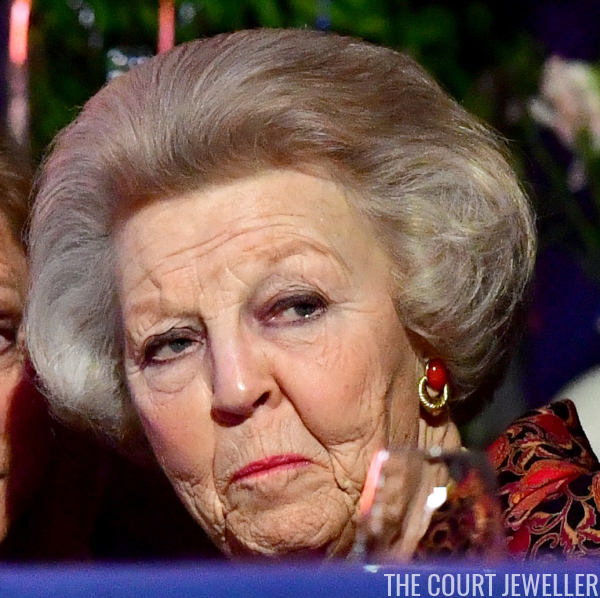 Princess Beatrix of the Netherlands wore bright red and gold earrings for a major equestrian event in Amsterdam on Saturday. 5. Beatrix's daughter-in-law, Queen Maxima, selected glittering diamond hoop earrings on Wednesday for a visit to the IMC Weekendschool on Tour in Haarlem. 4. 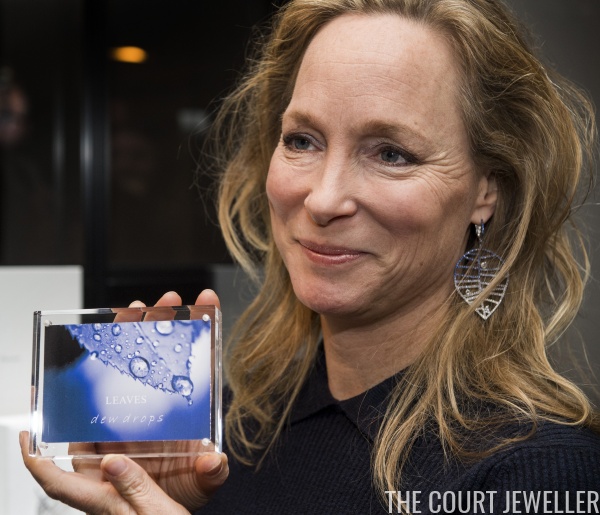 Princess Margarita of Bourbon-Parma (the daughter of Princess Irene of the Netherlands) wore earrings from her own collection at a launch for her latest jewelry designs in Waalre on Monday. 3. 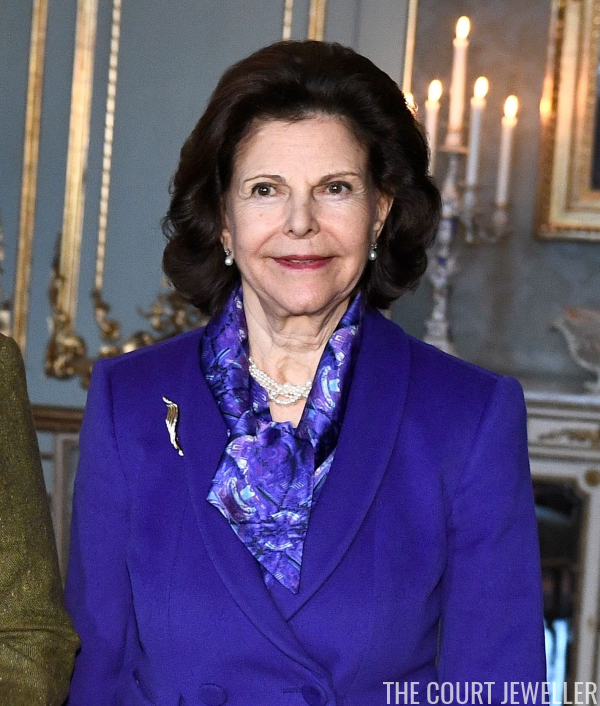 In Sweden, Queen Silvia wore a golden brooch with pearl jewelry (earrings, necklace, and bracelet) to welcome German Chancellor Angela Merkel to Stockholm on Tuesday. 2. 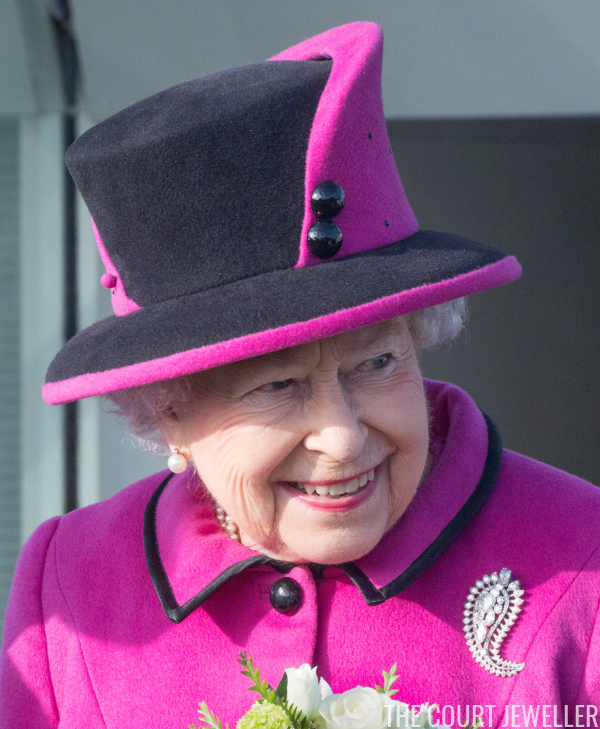 On Monday, Queen Elizabeth II of the United Kingdom wore the Queen Mother's Palm Leaf Brooch for a visit to the 'Fiji: Art & Life in the Pacific' exhibition at the Sainsbury Centre for Visual Arts at the University of East Anglia. 1. 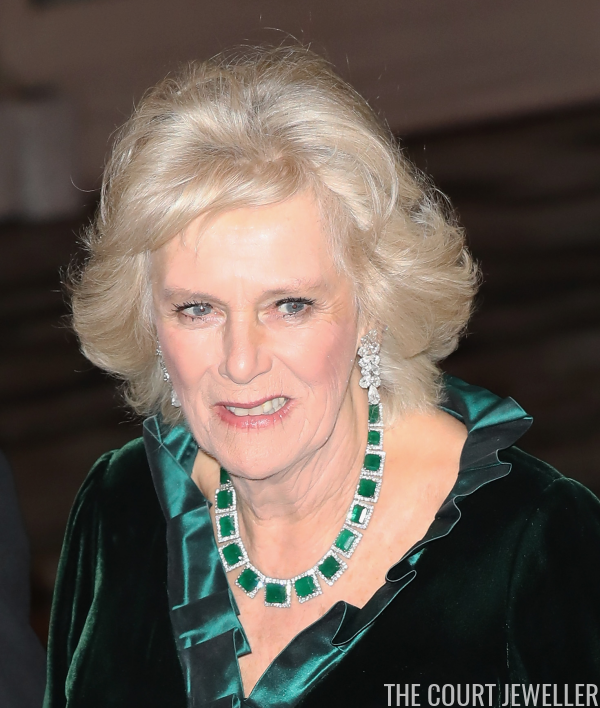 Without a doubt, no royal lady glittered more this week than the Duchess of Cornwall, who wore her elaborate diamond drop earrings with her modern emerald necklace (possibly a Saudi gift) for a British Asian Trust reception in London on Thursday.